We've all been there; you're talking to a potential client. The conversation is progressing well, you're getting excited about the prospect of a new project, but then you come to the topic of pricing... you freeze. "What if I say a number that's too high and scare them off?" "What if my price is too low and I end up leaving money on the table?" The cost of offering the service, including equipment, raw materials, travel costs, marketing costs… all of the things you spend time and money on to offer your service. You have to consider your costs to make sure you’re not pricing your service too low to really make any money at it. Need help estimating your costs? . The baseline amount of value a service like yours provides to a customer. For example, if your business is family meal prep, you might assume that a fully prepared dinner is worth on average $15-20 per person per night. If you’re not sure about this number, it helps to do some competitive research here. What are others charging for comparable services? How much time and money would a customer need to spend to do it themselves, if that’s even possible? Your key differentiators as a service provider. What makes you stand out from the competition? Why should a customer choose you over the other options that are out there? Level of experience - How long have you been honing this particular skill? What certifications or credentials do you have? It's worth reviewing your pricing periodically, as how much to charge does often depend on your level of experience. Professionalism - Do you respond quickly and professionally to potential customers and follow through with formal proposals and agreements? Are you reliable and respectful of your customers' time? Do you have insurance? Professional certifications? Professionalism counts, and it can offer you the opportunity to charge higher prices. Specialty - If you're new to your business, you may be tempted to be a "Jill-of-all-trades" so that you never have to turn down a potential client, but narrowing your speciality can help you to focus your marketing efforts, win more business and command higher prices. Quality of service - Can you charge more for excellent-quality service? Absolutely. As the saying goes, "Quality is remembered long after price is forgotten." When your customers are delighted with your service, they don't mind paying a bit of a premium. Social proof: testimonials, awards, etc. - When considering how much to charge, don't forget about your reputation; customers will pay more for a service when they are confident that they're making a good decision by hiring you. Prospective customers love to see testimonials and example projects from your previous customers. Make sure to include them in your marketing materials to build trust and make it clear that you're worth every penny! To take a quick example, let’s consider two accountants, Alice and Barbara. Alice has been in business for 10 years, has a long list of client testimonials, and has won multiple peer awards. She has a deep network of friends, business partners and former clients who refer work to her. Barbara is new to small business accounting and has only 2 clients, but she goes above and beyond to make sure that they are raving fans of her work. Chances are, Alice can command a higher price for her services than Barbara can right now, but Barbara is investing in creating happy customers and will have a chance to raise her prices once she builds up her client base and starts to develop her network and reputation. Keep in mind that the right price for your service is pretty much guaranteed to change over time; as you get more experience and develop your specialty, it will increase. Or, an influx of new competition in your industry could cause you to have to decrease prices (or change what you offer to maintain your pricing). If you'd like to go deeper on the topic of pricing and get advice from other entrepreneurs who have been there and done that, check out our Pricing Pathway — a 5-lesson self-paced online course that will help you to zero in on the right pricing for your service with help from our community of experts. All of our Pathway programs are included with your Pepperlane Membership. 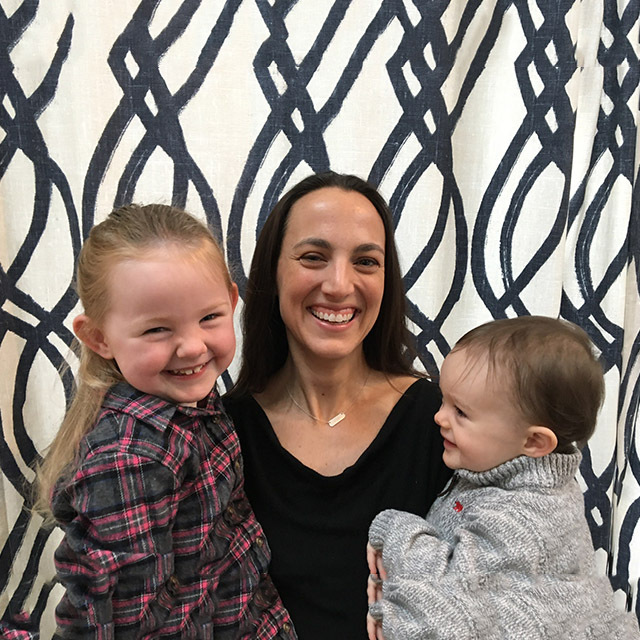 Jess is a mom of two, an avid runner, and a tech nerd. She's spent her career building products at Boston startups like Carbonite (NASDAQ: CARB) and Hopper from the very earliest stages into successful companies with millions of users. Sharon talked her into starting Pepperlane when she was 6 months pregnant with her second baby. What could possibly go wrong? For many of us, starting and running a business means freedom: freedom to work when, where, and how we want. It can mean we’re better able to freely share our talents and passions with the world. But how do you structure your business (and your pricing) so that you don’t end up feeling constrained, responsible to do work you don’t enjoy, or even pressured to take a financial hit on a project?